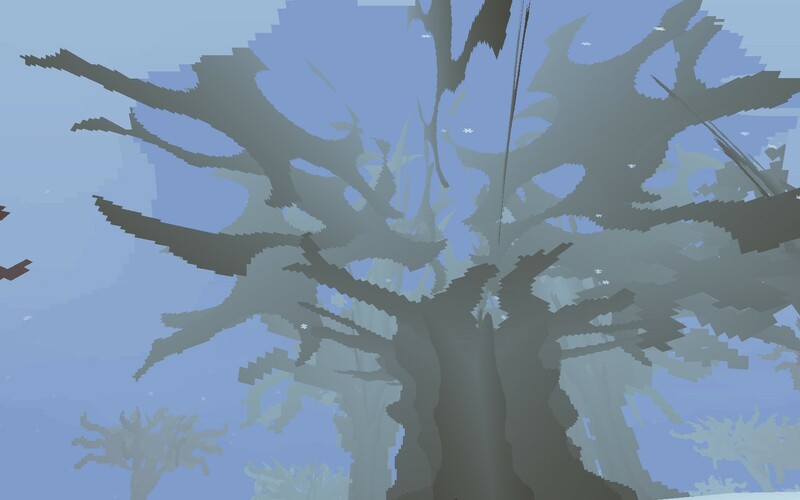 The Refined Geek » Proteus: I…I Understand. Stripping away certain aspects of a game is the norm for independent developers as your limited resources constrain what you’re able to accomplish. Whilst on the surface this sounds like it would make for an inferior game often it results with a game that makes incredible use of its bare essentials, creating an overall experience that’s on par with much larger titles. Then there are those that eschew nearly all aspects of traditional games in order to focus on a single aspect. Notable entries include games like Gravity Bone, Thirty Flights of Loving, Auralux and, I’m most pleased to say, the new exploration game Proteus. Like other exploration games Proteus is one where the narrative is primarily driven by your curiosity. Upon starting the game you’ll be greeted with your own little island (which I assume is procedurally generated so each one is unique). There’s no voice telling you to walk to it, nor any other indication that you should even go there, but of course there’s that little voice at the back of your head telling you to proceed forward. Should you do so the next hour of your life will be dedicated to exploring a world that undergoes wild amounts of change and, eventually, so do you. Proteus is unique in terms of graphical style, straddling the boundaries of pixel art and early 3D first person shooter games. What I found particularly interesting was despite the bare bones nature everything was instantly recognizable, from the various types of plants and animals to the various bits of other miscellanea that covered my island. I’ll be honest and at first I just thought it was the developer being lazy but the more I played the more I began to appreciate the simplicity as that kind of refinement doesn’t exactly come easy. 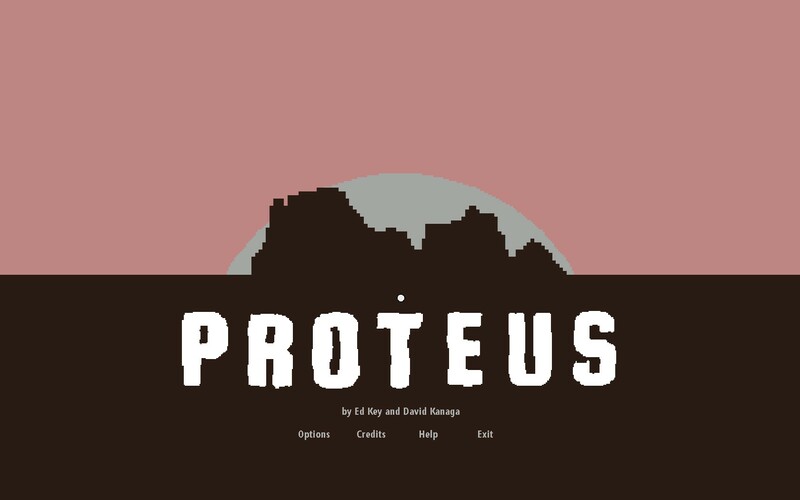 There’s no real game mechanics to speak of, the whole point of Proteus is simply for you to explore the island that it has created for you. Whilst the island isn’t particularly huge there’s definitely enough to keep you interested, especially with all the various animals that react in different ways to you approaching them. There’s also a weather system that changes from time to time which, again, changes the island. 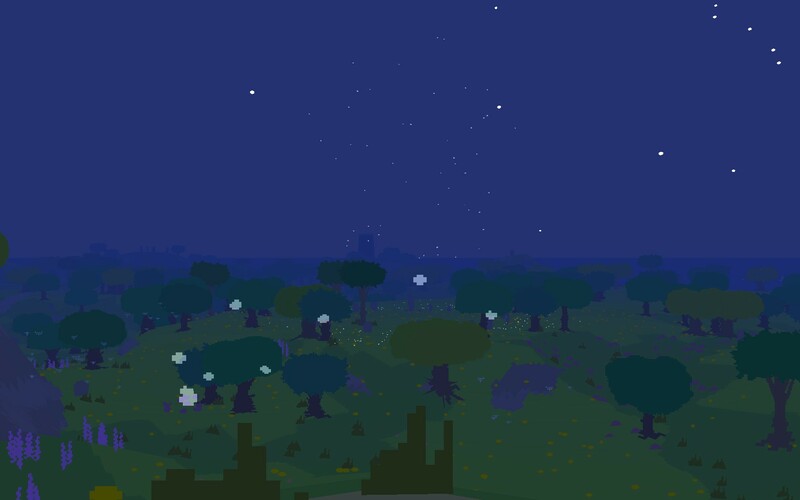 But this is all just a lead up to the best part of Proteus and it only happens at night. I remember seeing this for the first time very clearly. The sun had gone down and little lights began to appear everywhere. Up until then I had wondered what the overall point of the game was as whilst it was cool to explore a procedurally generated island there wasn’t much more to it; no purpose, no story. But then the lights began to move in a strange way, they seemed to be all moving towards a single point on the island. Curious I walked towards it and they began to speed up with more and more lights appearing out of nowhere to join them. The lights began congregating at one location, forming into a kind of vortex centered on a point in the middle of island. I walked towards it and they spun faster still, swarming around me until they erupted in a blinding flash of light. Afterwards I saw it was day time once again but the island had changed. New life had sprung up around me and the world looked very different. I realised then and there what had happened, I had been transported forward in time to the next season. And so this process repeated itself several times over, each time when night fell I would wait anxiously for the lights to reappear in order for me to advance to the next stage. Eventually winter came to my island and it instantly became a desolate wasteland, home to no perceptible life. I wandered my island aimlessly looking for a sign, something to show that was still alive but alas there was none. I again waited for night to come but the lights never appeared so I kept exploring, hoping that I’d find the solution to a problem I felt I had created. It was then that my slow descent into the clouds began and eventually my eyes closed and my island journey came to an end. 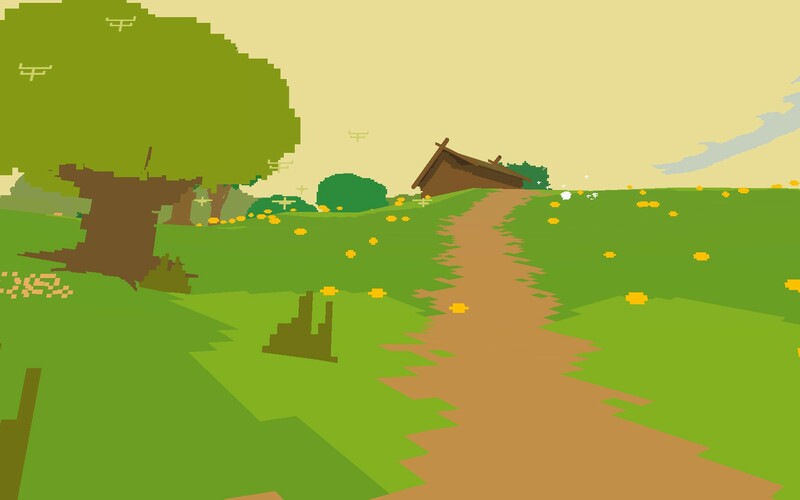 Proteus wins my praise for the simple fact it went from a slightly confusing experience to an incredibly magical one by the use of simple mechanics that forced me to build my own narrative. If Auralux is the essence of real time strategy then Proteus is the essence of an exploration game as it does away with pretty much all extraneous elements in favour of the exploration mechanic. It’s short and bittersweet and definitely not for everyone but if you’re a fan of creating your own narrative or exploring games that strip away all things in favour of one aspect then Proteus is definitely worth a look in. Proteus is available on PC right now for $9.99. Total game time was approximately 1 hour.